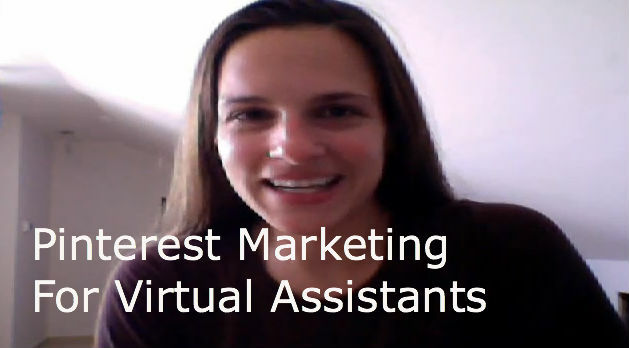 I had such a great response to last week's blog post about how to market your virtual assistant business using the social network Pinterest. I've decided to do a follow up post. In this video you will learn why it's important not only to pin original content by why you must include original images with a strong call to action. Once again, if you really want to leverage the power of Pinterest to get prospects back to your site, than I highly recommend you go and check out Melanie Duncan, the creator of The Power of Pinning. Melanie taught me everything I know about Pinterest and trust me when I tell you, she knows what she is doing. How do you create visually pleasing images of your own? The good news is it's not that hard to do! Anything from an image of text on a colorful background works. In fact, the simpler your image, the better! A really great idea of pins would be to post your blog posts as I mentioned in last week's tutorial. In addition create some tutorials like the one below and pin the tutorials to your board. Once you've done that create a teaser pins to intrigue people and get them to click through. A teaser pin is just some text on top of a image or colorful background that states what you will learn if you click here. I show you a great example of this in the video below so make sure to watch the video all the way through and don't forget to leave a comment with your results! Like this post? Share it with your followers on Twitter by clicking here!